The city where novelist Charles Dickens was born has decided to heal an 80-year rift with an author who criticised its famous son. Dom Kippin, Portsmouth City Council's literature officer, said: "We've decided it's time to let bygones be bygones. "The library was acting in good faith at the time, protecting the legacy of Dickens, but we think it's important to have freedom of expression and debate. As Dickens himself would agree I'm sure. "Dickens's literary legacy is strongly established and [Robert's] book merely adds to the rich tapestry of ideas and opinions that make him one of the English language's greatest writers." 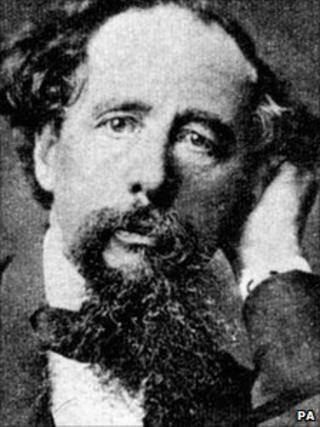 Although Roberts's book was a novel, he was keen to dispel the myths surrounding Dickens and it caused a scandal when it was released. In a review, The Sunday Times said: "The author of the novel, Carl Roberts, has made out that Charles Dickens was a hypocrite, philanderer, selfish, an egoist, vulgar, morose, and avaricious, caricaturing his friends in his books behind their backs. "Dickens in Roberts's novel is represented as unscrupulous in his dealings with his publishers, and was always prepared to treat promises and engagements lightly, and callously jested over the death of the artist who illustrated Pickwick Papers." Dickens was born in Portsmouth in 1812 and died in Kent in 1870.